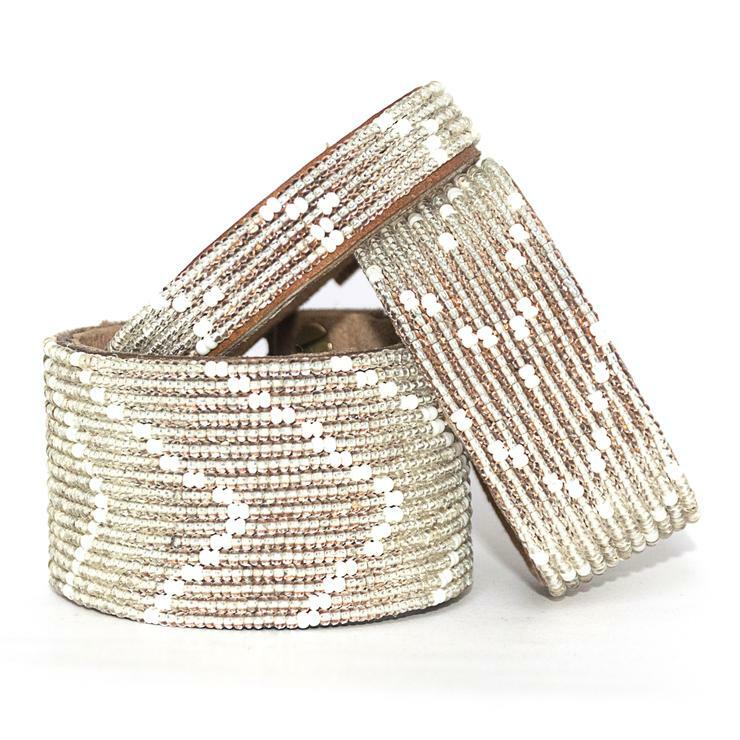 The Chevron Silver Beaded Leather Cuff is the perfect fair trade bracelet! We are smitten with our metallic styles because they are so versatile. You can dress them up or pair them with a favorite casual tee-shirt and jeans. Each Swahili Coast Beaded Leather Cuff is ethically handmade by the fairly-paid, empowered artisans of the Swahili Coast Cooperative. They are crafted from natural, free-range Tanzanian leather that is sourced locally to our cooperative. Our talented partner artisans stitch high-quality beads onto the cuffs using a monofilament line that is similar to fishing line.